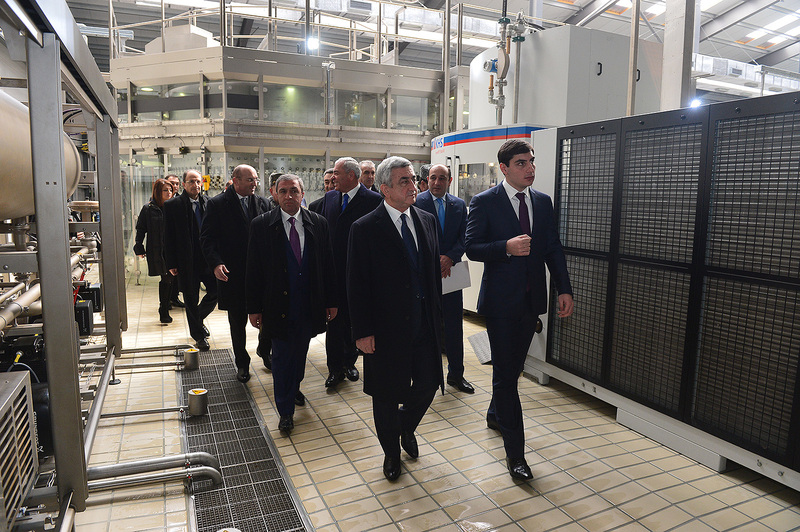 Concluding his working visit to the Republic of Nagorno Karabakh, President Serzh Sargsyan on December 12 left on a working visit to Vayots Dzor. 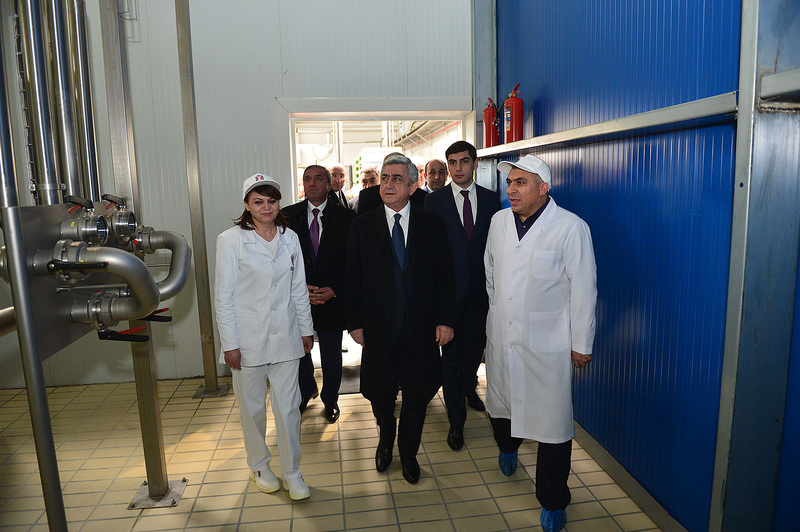 The President of Armenia was present at the official ceremony of the inauguration of a newly constructed plant of the Jermuk Group Company. 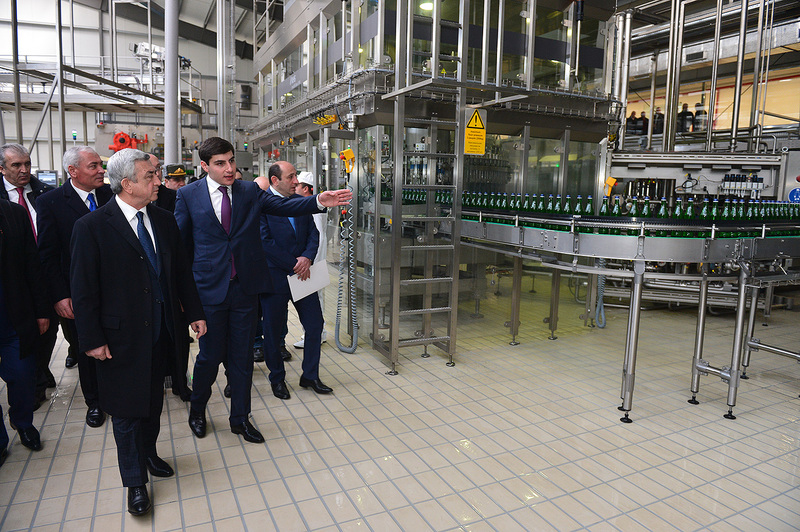 The President toured the plant, familiarized with the investments, production lines of the plant and development programs of Jermuk Group. 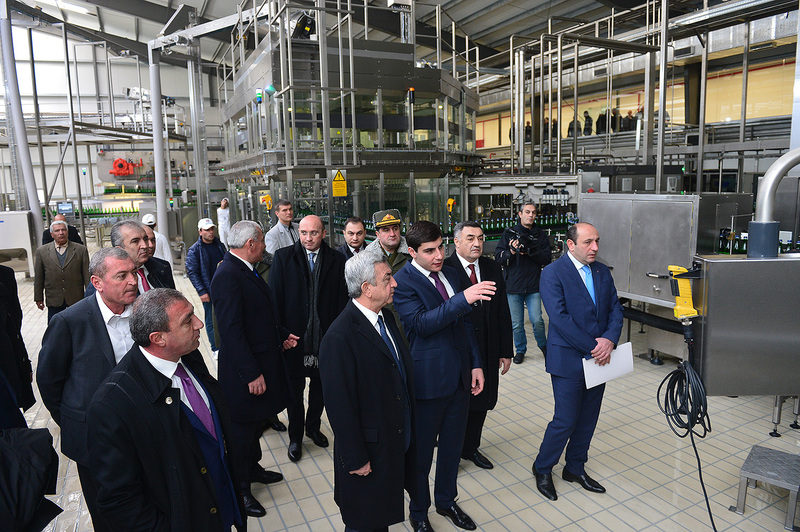 The construction of the plant required the investments of over 5 billion AMD, 3,4 billion of which was used to purchase modern equipment. 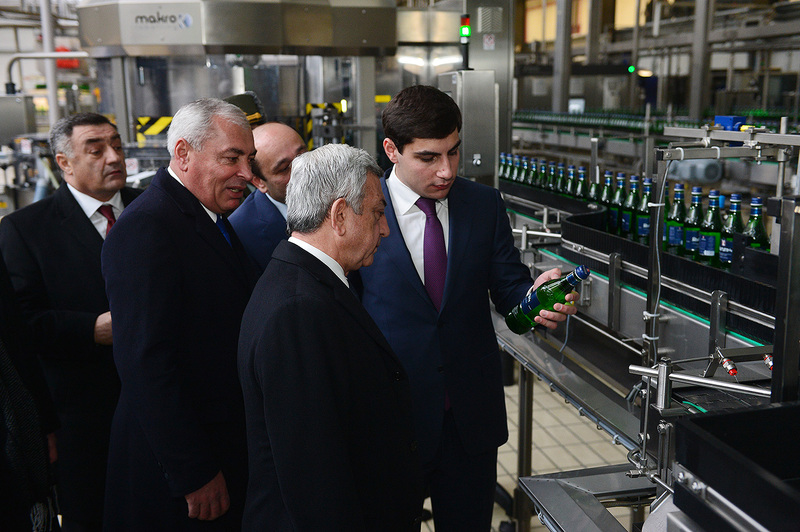 At the moment, the Jermuk Group employs 370 workers. 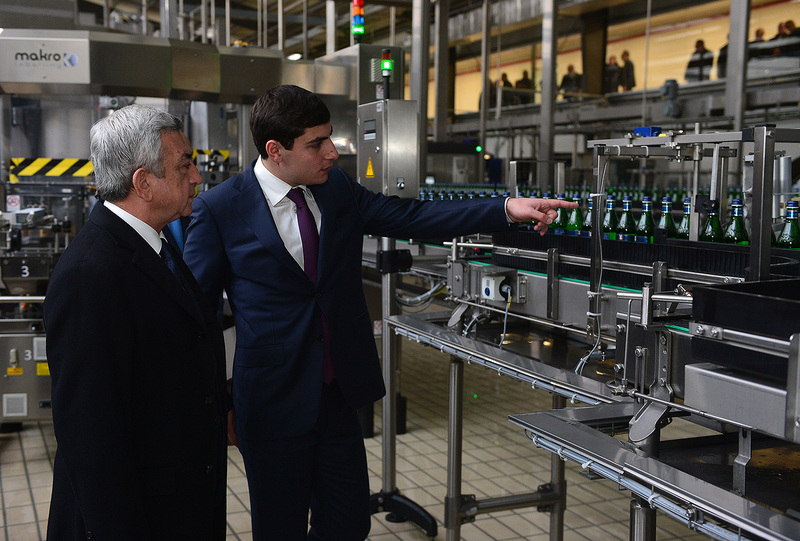 According to the responsible officials, the operation of the new plant will increase the number of workers by nearly 15%. 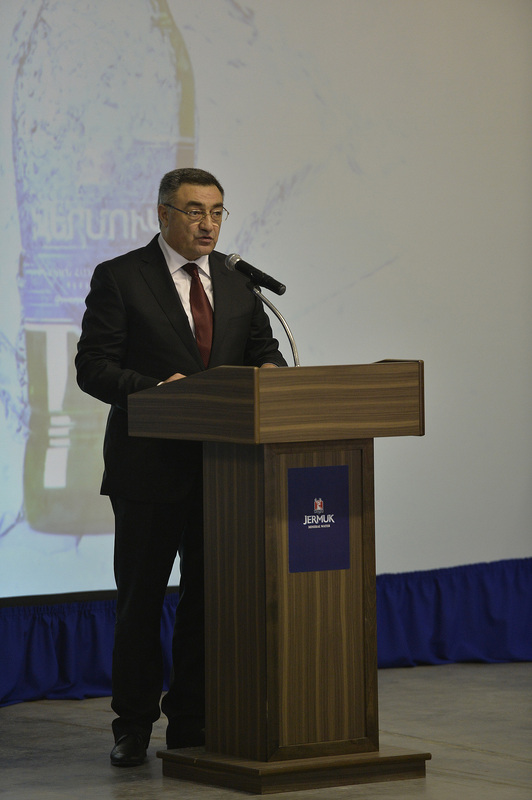 In Jermuk, the President invited a meeting to discuss issues related to the development of tourism which has been declared one of the priority areas of the Armenian economy. Presented was the potential for the development of the area, forthcoming programs, obstacles impeding the development of tourism and existing problems, as well as means to address them. 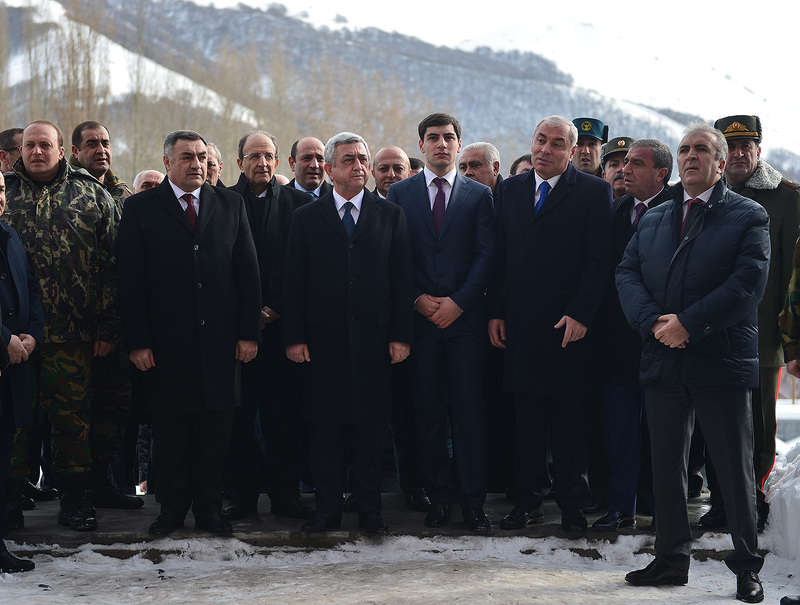 At the meeting held at the Jermuk Place Hayat hotel compound present were the Vice Prime Minister of Armenia, Minister of International Economic Integration and Reforms Vache Gabrielian, Minister of Economic Development and Investments Suren Karayan, Minister of Territorial Administration and Development David Lokian, Minister of Culture Armen Amirian, Deputy Minister of Foreign Affairs Robert Harutyunian, Head of the State Committee on Urban Development Narek Sarkissian, Acting Head of the State Committee on Tourism Zarmine Zeitountsian, Head of the Tourism Development Department Mekhak Apressian, Governor of Vayots Dzor marz Harutyun Sarkissian, Head of Jermuk community Vardan Hovhannissian, Executive Director of Armenia Development Fund Karen Mkrtchian, Executive Director of Armenia’s Territorial Development Fund Ashot Kirakossian. 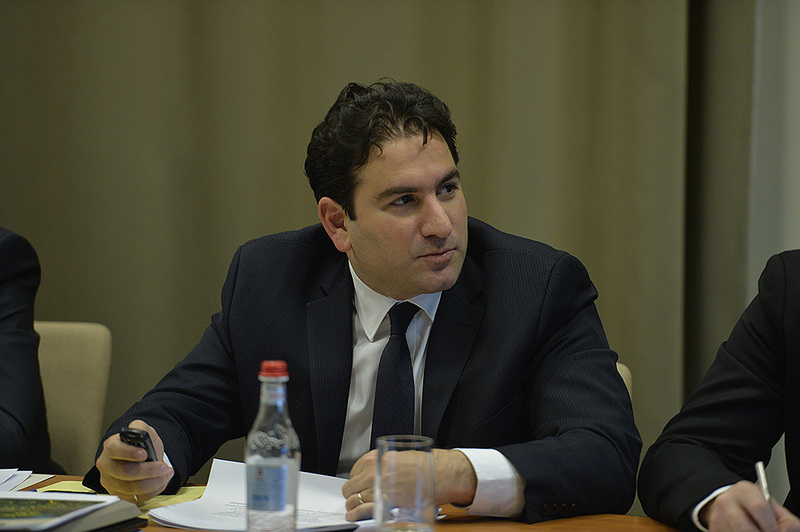 In the framework of the meeting agenda, the Minister of Economic Development and Investments Suren Karayan reported on the functions and main directions of the ongoing works of the structural divisions of the body responsible for the tourism area; the Acting Head of the State Committee on Tourism Zarmine Zeitountsian presented the conceptual approaches to the development of tourism in Armenia for years 2017-2020 including statistics, issues of state policy and anticipated results, forthcoming events and main obstacles for the development of the area; the Executive Director of Armenia Development Fund Karen Mkrtchian reported on the events envisaged by the Fund in the area of tourism for years 2016-2017. the Vice Prime Minister of Armenia, Minister of International Economic Integration and Reforms Vache Gabrielian made a report on the main components and problems of the World Bank’s credit program named Local Economy and Development of Infrastructure; the Executive Director of Armenia’s Territorial Development Fund Ashot Kirakossian reported on the subdivision of the Local Economy and Development of Infrastructure program related to the development of tourism areas and existing problems. 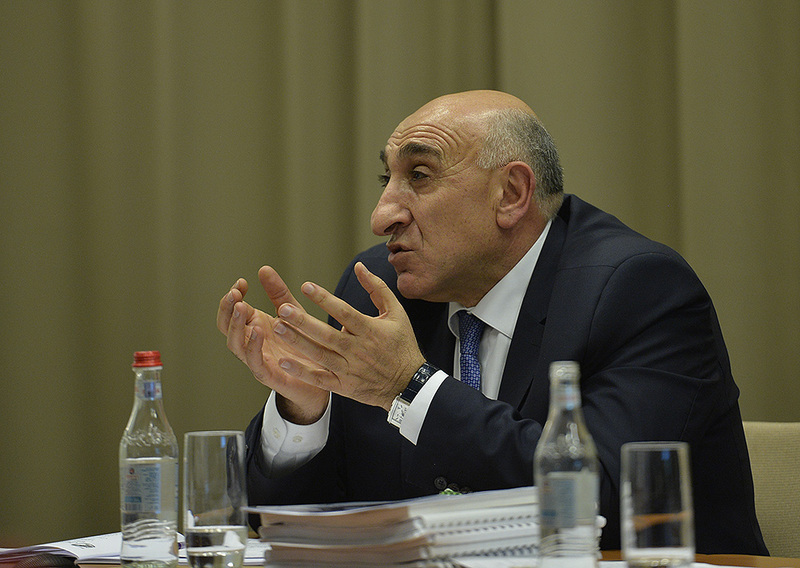 The Minister of Territorial Administration and Development David Lokian presented the forthcoming programs for the development of infrastructure in Armenia’s urban and rural areas, while the Head of Jermuk community Vardan Hovhannissian spoke about the town’s infrastructure and tourism and problems of its sustainable development. At the beginning of the meeting, the President underscored that despite some positive tendencies registered in the area of tourism, there still exists a great potential which still remains untapped. It was noted that nearly two months ago, along with the formation of a new government, the Tourism State Committee was created at the RA Ministry of Economic Development and Investments; it will work on a program which will boost the area. The government program has set an ambitious goal of increasing the number of tourists three times in the coming five years, however, according to the President, it is obvious that the area of tourism cannot develop dynamically only through the efforts of the area officials. “This is an interrelated chain of economic development, and every link of this chain should be strong to yield the final result. Responsibility lies with everyone. We need to understand that the area will develop only and only through our joint efforts. The potential here is undoubtedly huge but it would be unrealistic to anticipate great results in a short period of time. Nonetheless, we need to feel the tempo of development every day, every day we need to register even if modest results in order to achieve what we have signed – to increase the volume three times in at least five years. For us, it should be a realistic task which can be accomplished. 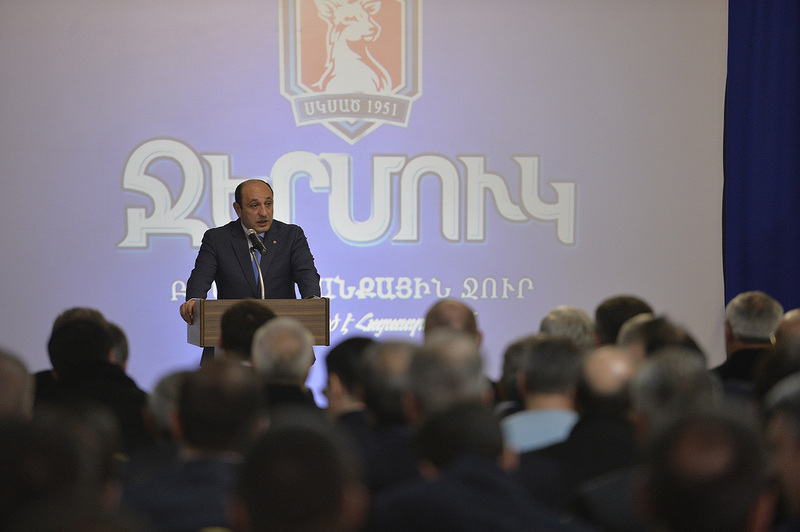 It is no accident that we are conducting this meeting in Vayots Dzor which historically has very good prerequisites for tourism development,” said President Sargsyan and added that Armenia’s most important from the viewpoint of tourism southern route is traversing this region, leading to the spiritual and historical centers and areas such as Noravank compound, caves of Areni, resorts of Jermuk, the famous Tatev center, Zorats Stones and, of course, the heroic land of Artsakh. 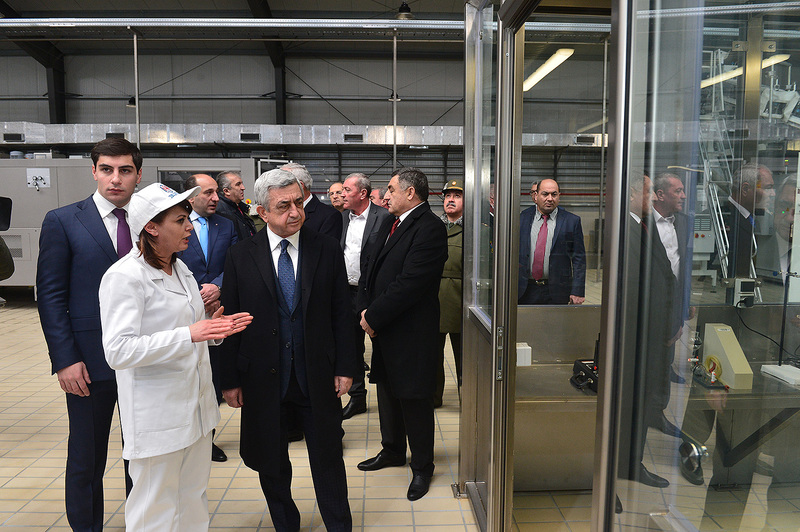 According to Serzh Sargsyan, this southern direction possesses great opportunities for becoming an integral part of a major project – Iran-Armenia-Georgia regional tourist package. “I believe in this large and laborious effort to develop this area the local governance bodies have their own share of work and particularly the heads of the communities which constitute parts of this chain. 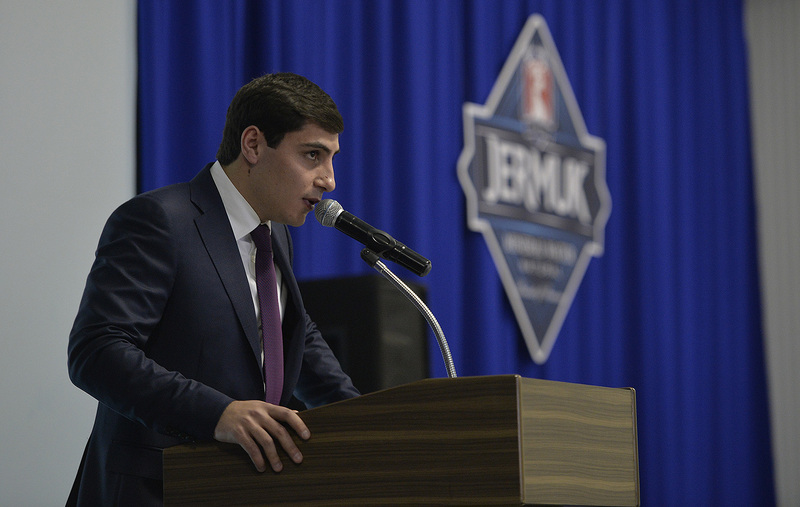 We need to develop Jermuk and other tourist centers and later, linking them to each other, we will have a compact and whole complex. We have much to do on this and the head of each community should constantly assess his or her own decisions – how they promote the development of tourism? 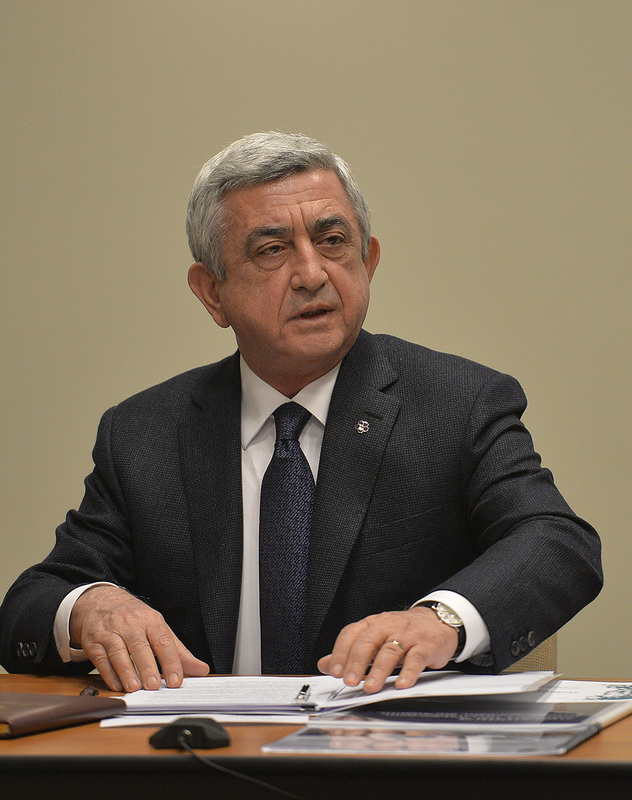 And not only the heads of communities: every person present here should think: are my activities efficient with this regard?” said the President of Armenia addressing the participants of the meeting. 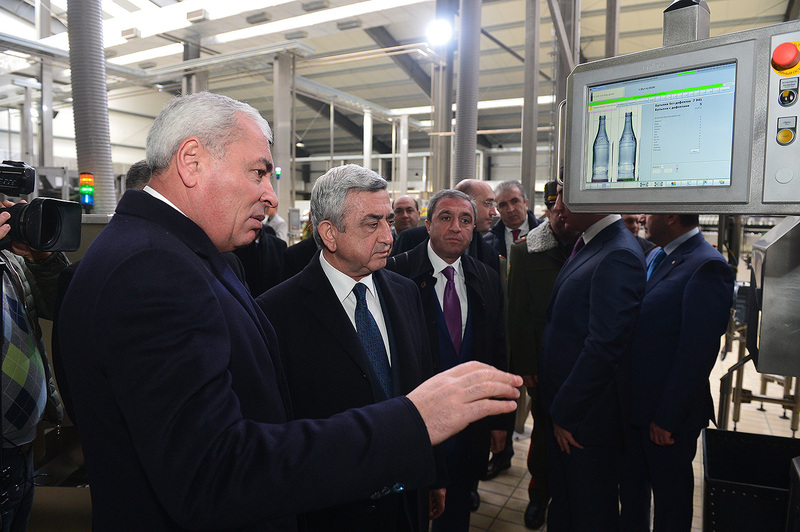 Speaking about opportunities for the development of the area and created prerequisites, Serzh Sargsyan brought some examples. 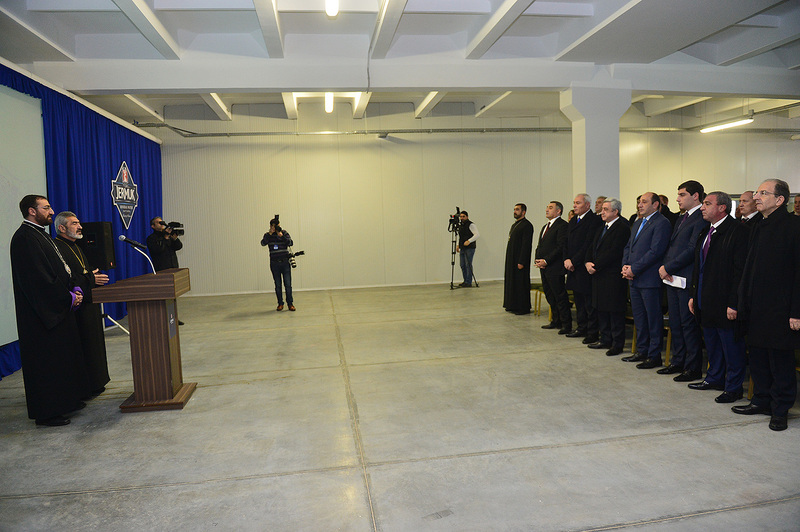 The President recalled the visit of Pope Francis to Armenia which took place under the motto the Visit to the First Christian Nation. Moreover, Holy Father said publicly that he was conducting a “pilgrimage” to Armenia. 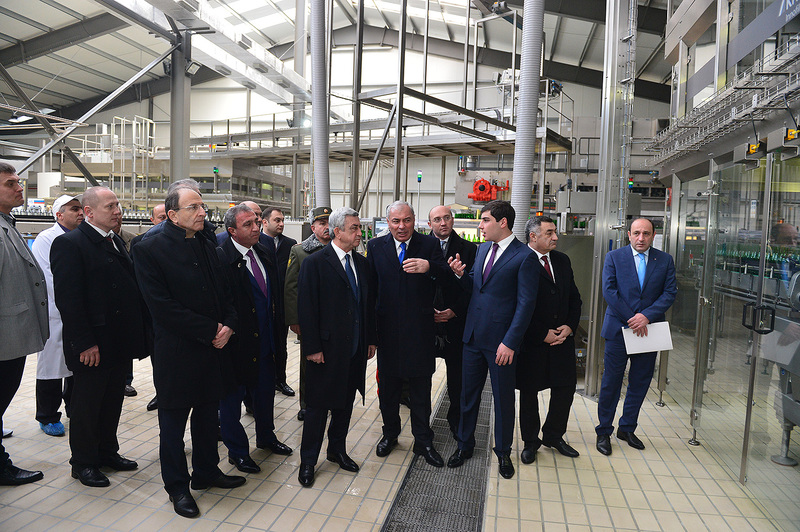 This, according to the President of Armenia, were positive signals on which the officials from the area should build Armenia’s competitive advantage in the area of tourism. 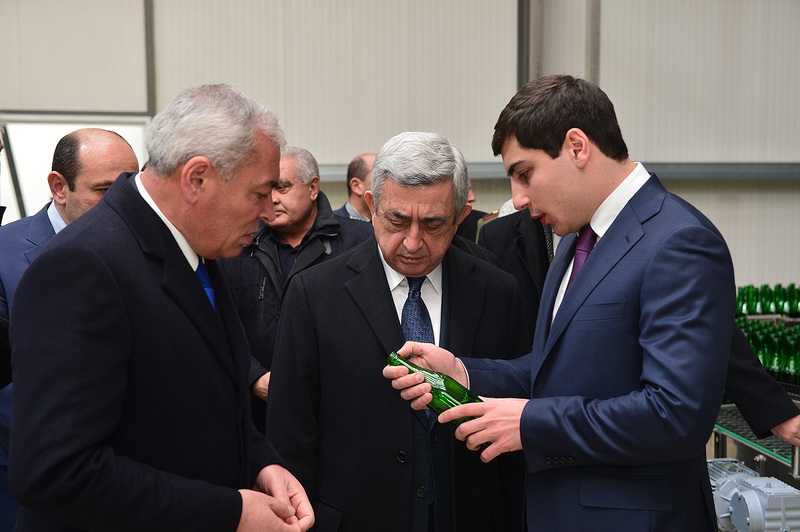 Serzh Sargsyan mentioned as an example the oldest shoe found by the archeologists in Areni and the complex for wine production after which the leading world mass media started to refer to Armenia profusely. “I also believe that we don’t pay due attention to the development of the internal tourism. This addresses not only the issue of economic development but also other issues. There is no better way to propagate one’s country, no better way to carry military and patriotic education than to explore one’s own country. Every young person who visits dear and sacred places of our country will understand without words that he or she has a duty to protect that sacredness. 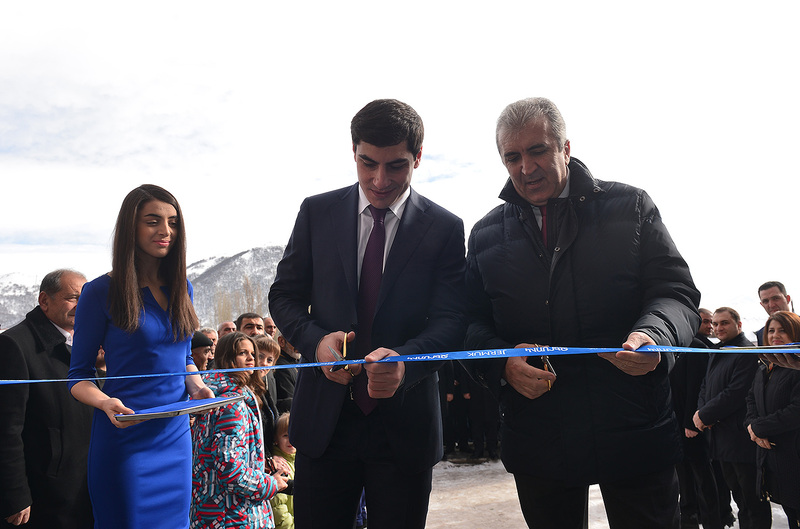 Though through the development of Tatev’s infrastructure we register a considerable increase of the internal tourism, there is still much to be done because residents of Yerevan and marzes have a great desire to visit these places, and we need to create proper conditions,” said the President of Armenia. 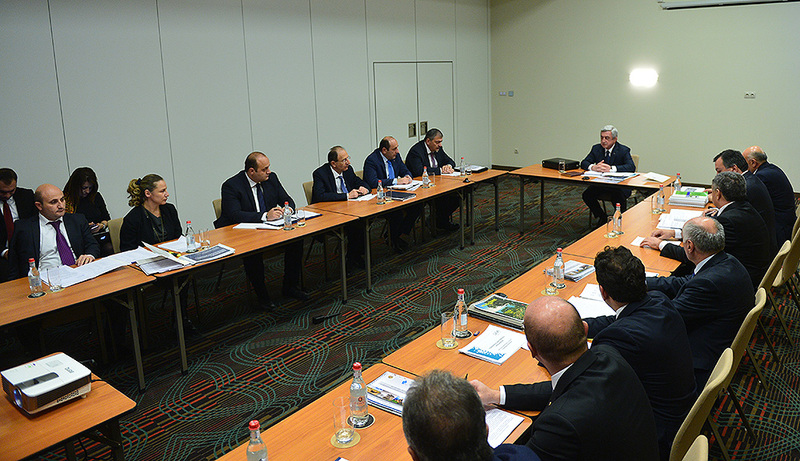 President Sargsyan issued a number of task on the results of the meeting, including instructions to the Prime Minister of Armenia to synchronize works of the state bodies involved in tourism and territorial development areas. 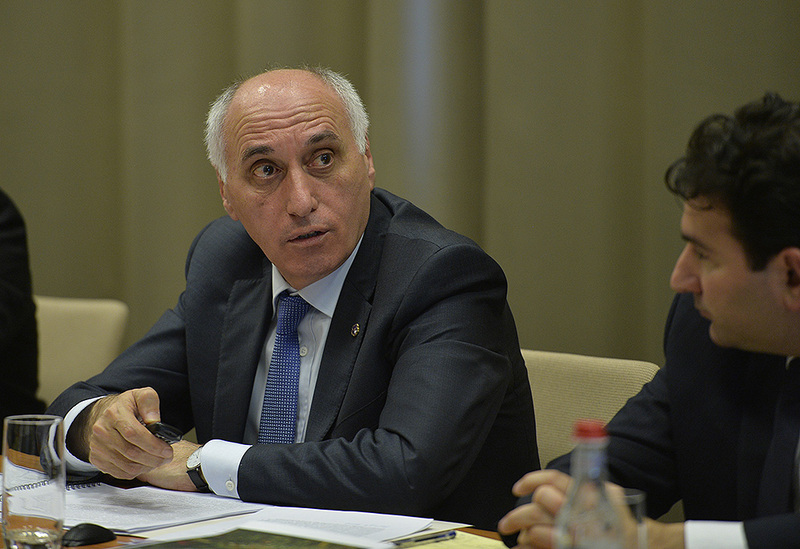 He also instructed to form a tourism council under the authority of the Vice Prime Minister to enhance the competitiveness of the tourism area and together with interested bodies to engage the private sector working in the tourism area, international organizations, local governance bodies and representatives of the Armenian Apostolic Church (at their consent). 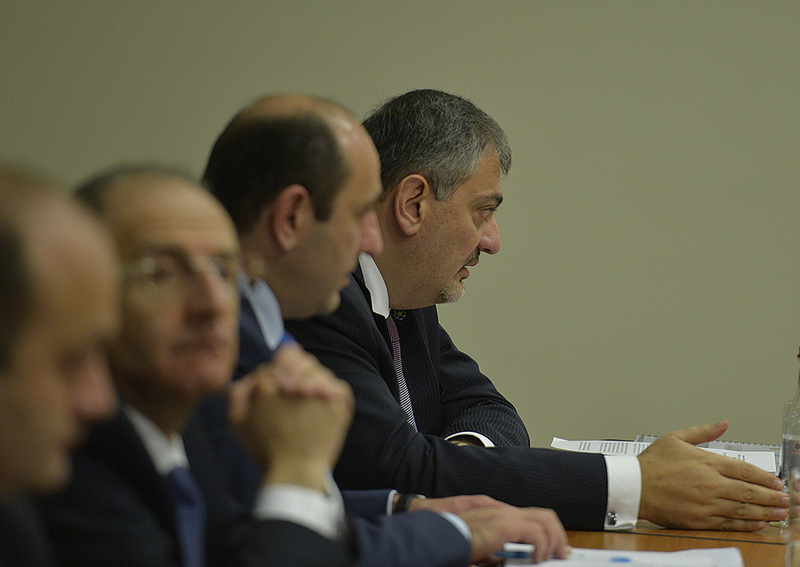 The President of Armenia instructed to create a procedure for recapping the results of a three-months period works of the future council and presenting the summary information to the staffs of the President of Armenia and the government. 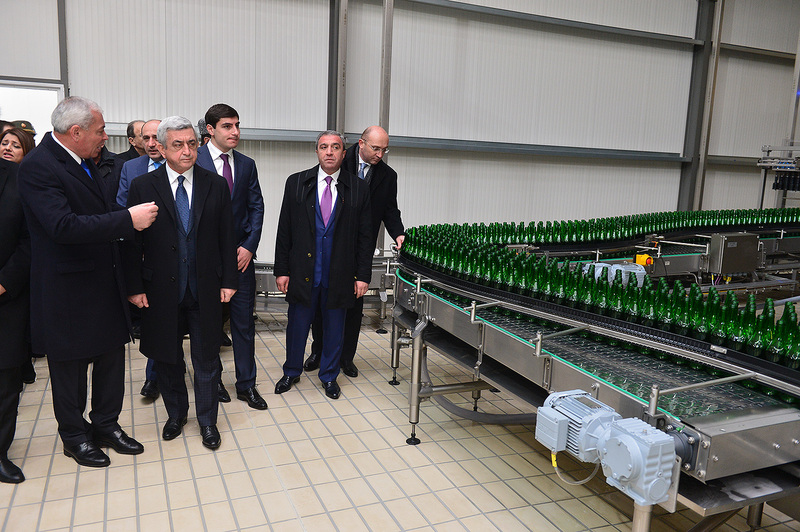 The Vice Prime Minister was instructed together with the Minister of Economic Development and Investments, Minister of Territorial Administration and Development, Head of the State Committee of Urban Development and Director of Armenia’s Territorial Development Fund to discuss major forthcoming programs related to the development of infrastructure of towns and rural communities, viewing the priorities from the angle of creating main touristic routes and providing a steady tourist flow. 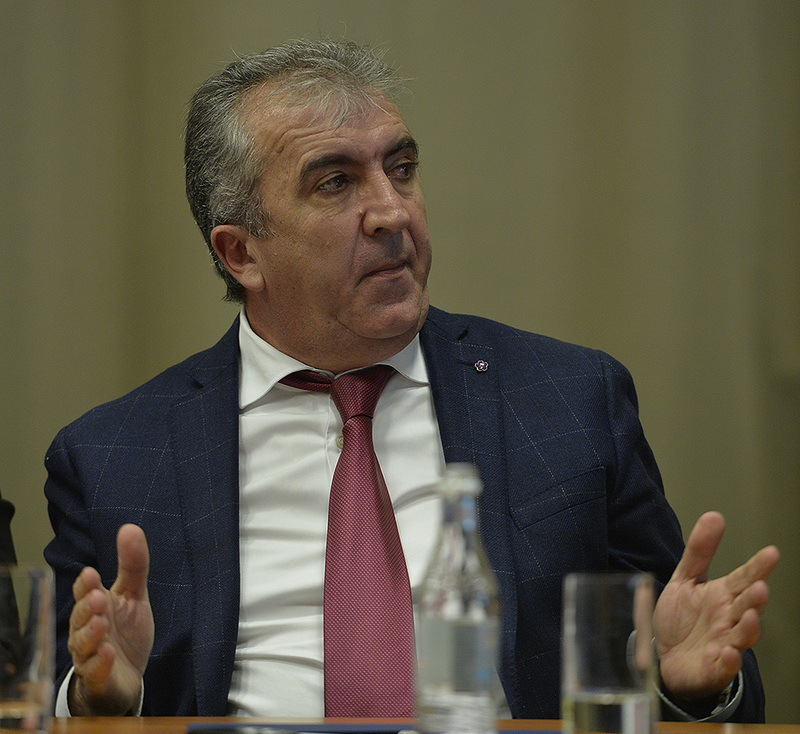 At the same time, to develop in these programs necessary mechanisms with the appropriate tools for the expansion of the state-private cooperation and present corresponding proposals to the government of Armenia for discussions. 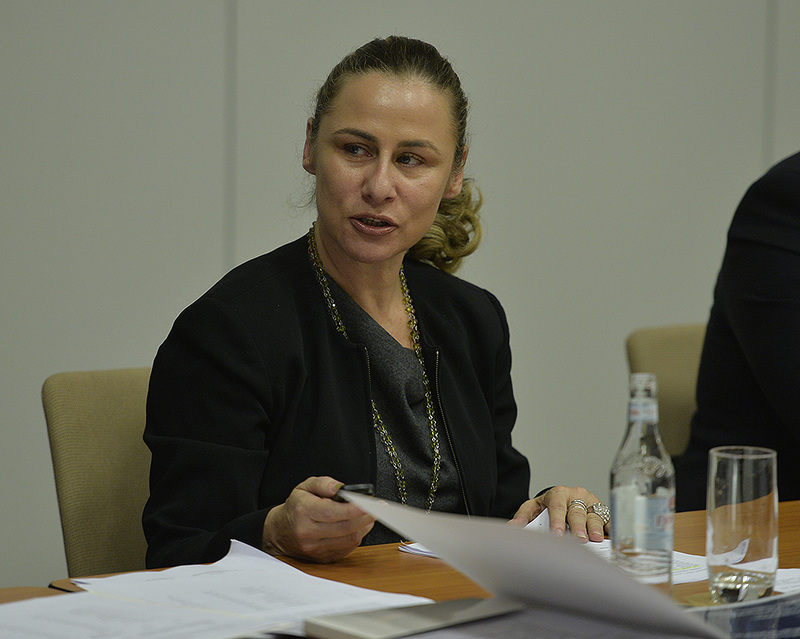 a)	After the discussions with the interested parties to summarize the works of the draft law of Armenia on Tourism and pertinent legal acts and present the drafts for discussions to the government of Armenia in the first three months of year 2017.
b)	To draw the tourist map of Armenia in a short period of time and create the inventory of all monuments, natural reserves, and other areas which may hold tourism development potential. 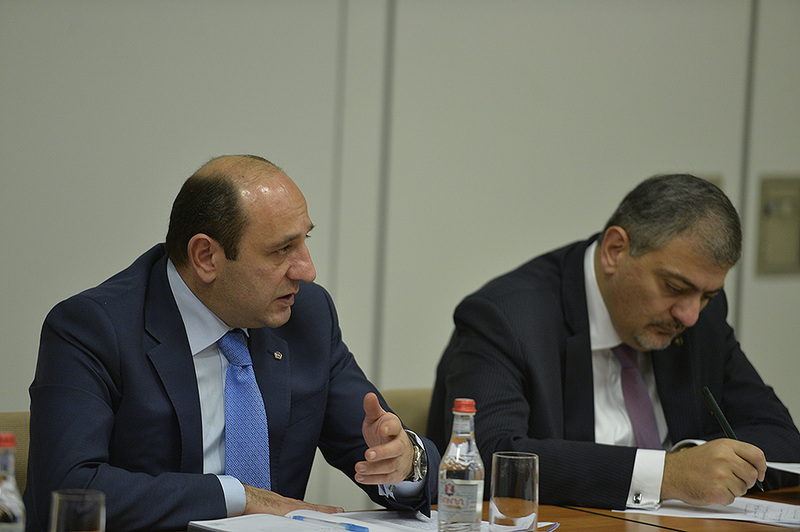 c)	to carry out concrete works on the formation of the administrative index of tourism as well as to create methods to carry out statistical records of the tourists visits and improvement of analytical capacities and present corresponding financial assessment to the government of Armenia. d)	Together with the Minister of Culture to discuss the timetable for the reconstruction of the historical and cultural monuments at the main tourist routes and archeological excavations and together with the uninterrupted works ensure maximal tourist flows. 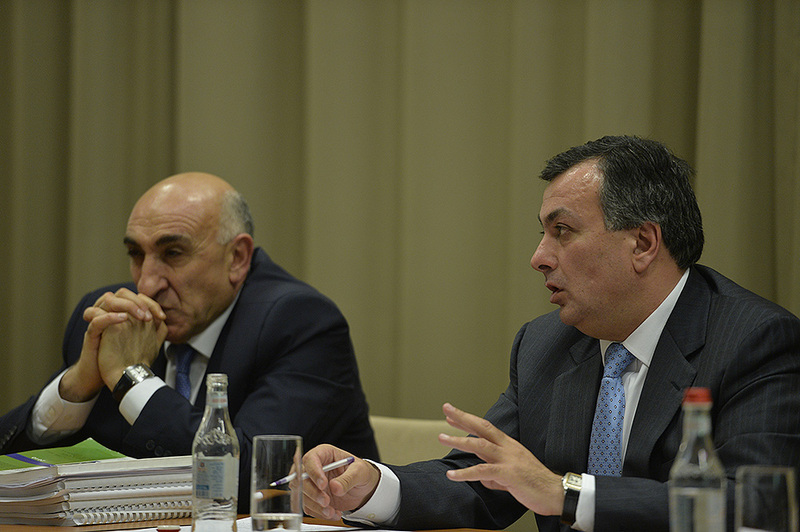 e)	Together with the mayor of Yerevan and Minister of Territorial Administration and Development to discuss issues related to the creation of a necessary infrastructure for the establishment on the territory of the Republic of modern tourist information centers united in one network and present to the government of Armenia corresponding financial assessment.